Spice mix for cottage cheese in creamy tomato gravy. 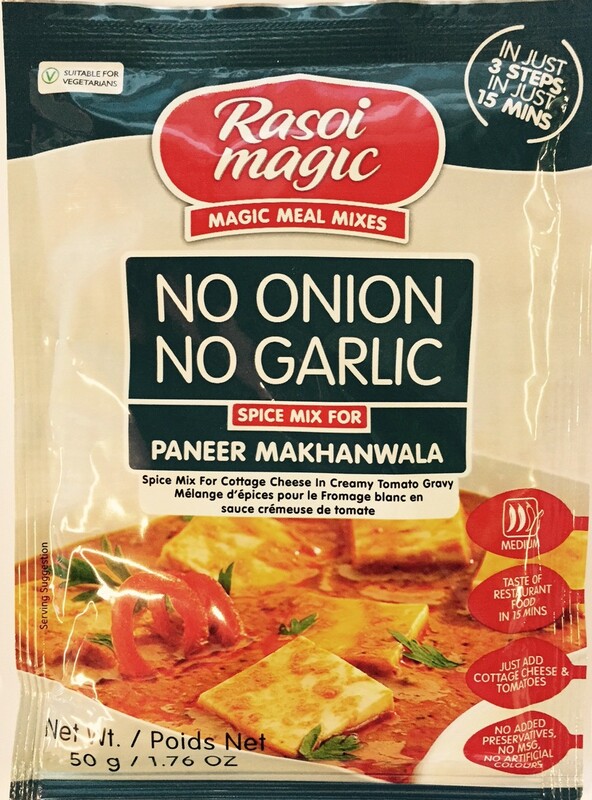 Simply mix the spices into a paste with milk, heat with tomato puree or finely chopped tomatoes, add diced paneer or tofu, water and serve hot with steamed rice or naan. Cashew nuts, skim milk, sugar, salt, rice flakes, coriander, red chilli, cumin, tomato powder, corn starch, turmeric, fenugreek leaves, mint leaves, other spices. Allergy Advice: Contains milk and cashew nuts. May contain sesame, mustard, wheat and sulphites.